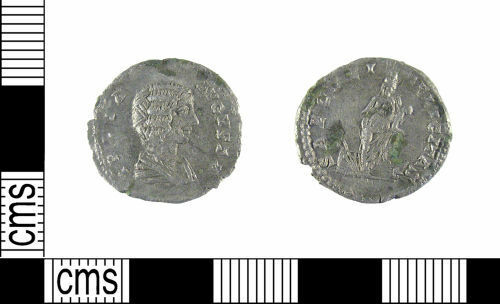 A Roman silver denarius of Julia Domna (AD193-217). Reece period 10 (AD193-222). Reverse: SAECVLI FELICITAS - Isis standing right, left foot on prow, nursing the infant Horus. Dimensions: diameter: 18.43mm; weight: 2.78g.